This trendy Alyce Paris dress 3819 is the perfect dress for those who like to stay in the spotlight. 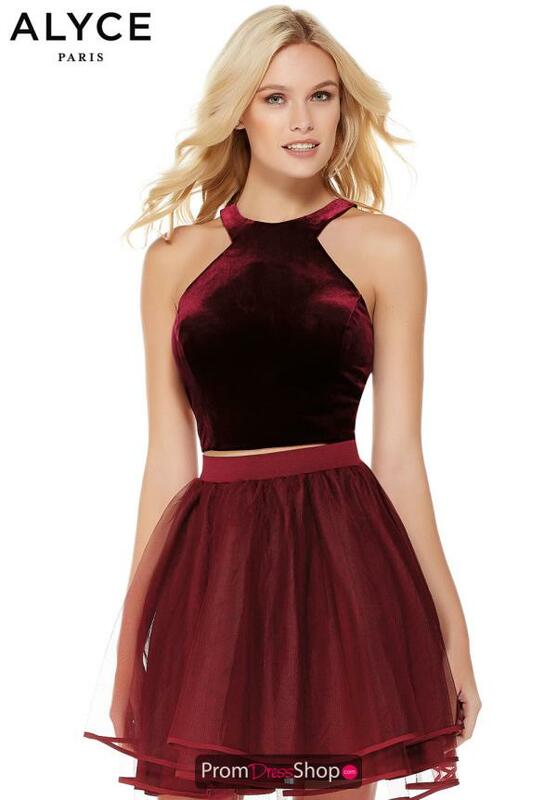 The fitted velvet crop top has a halter neckline with a gorgeous open back with a zipper closure. The bodice is fitted to show off your curves in the rich velvet fabric. The short skirt is cinched at the waist before flowing out in layers of tulle to form a beautiful A-line silhouette.